Grocery shopping here is Crazy. With a capital C. This week I went to seven different stores to collect all the ingredients for just a single meal. By the time I got home, I was tired, hungry, grouchy, and didn't want to cook. I'm shooting photos of the stores here for a post down the road, but I wanted to give you a glimpse of the way things are around here. The grocery shopping rule in Macau: if you see it, buy it. It won't be there next time, and it may not be there again for two months. Or ever. You will regularly find completely empty shelves for a week at a time, until they finally decide to rearrange things so it's not so empty. Six months in, I'm still not used to that. My favorite store in Macau is a grungy, dark, slightly smelly market with aisles so narrow a mini shopping cart can barely fit. Certainly not two people. It's a treasure for this girl because it stocks products from two of my favorite stores back in the U.S., Costco and Trader Joe's. In a land of exceptionally strange products that trigger my gag reflex, seeing the cheerful Hawaiian flowers on the Trader Joe's packaging triggers my lips to want to kiss the cans of organic black beans or bottles of Kansas City BBQ sauce. And when I see Costco's oversized Kirkland brand spices and olive oil, my heart flutters and my knees grow weak. 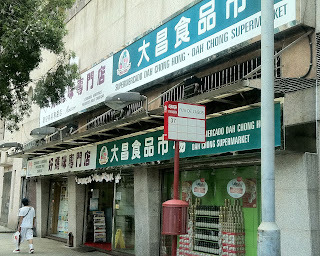 This store is the end of the line for the Macau University bus 37, which also has a stop right in front of my flat. Quite convenient! But it doesn't stock bread, dairy, or more than the tiniest amount of very pathetic and wilted vegetables. So it's not a one stop shop by any means. Today I was waiting for the bus and decided to pop in. They had a bunch of boxes with new products that hadn't made it out on the shelves yet. I looked in all the boxes, as is my habit, and found one that contained three giant Costco-sized bottles of Ortega Medium Thick & Chunky Salsa. I immediately grabbed one and put it in my cart. I may or may not have begun to sing the Hallelujah Chorus while shouting praise Jesus. Loudly. The sole English-speaking employee saw it in my cart, and said I might not be able to buy it yet because they just got it in and don't have a price for it. I countered with a request that he then hold it for me until it was priced, because I wanted it, no matter the cost. Small back story... I love Mexican food, the spicier the better, more than anything. Even more than In-N-Out and Krispy Kreme! There is one Mexican restaurant in Macau, called Mexicana. I eat there weekly. Sometimes more than once a week. There is another restaurant in Macau called Tacos, which would lead you to believe it serves Mexican food. But it's really Portuguese. Fortunately in the last two years I've taught myself to cook all my favorite Mexican dishes. Unfortunately, Macau grocery stores don't always stock the necessary ingredients. Sour cream is only available at one store, and generally only about ten days out of the month. Canned sauces are non-existent. Avocados can be found, but they are about $1.25 US apiece and there is no guarantee they won't go from bright green unripe to black over-ripe mush in 24 hours. And salsa? When I first arrived in Macau, one of the stores had such a bounty of salsa that I actually declared I would never leave Macau. A month later, it was all gone and hasn't been replaced. I can generally find a cup-sized jar of salsa with a "hot" label, which is about as spicy as ketchup. It's not my favorite, but it's better than nothing in my homemade tortilla soup. 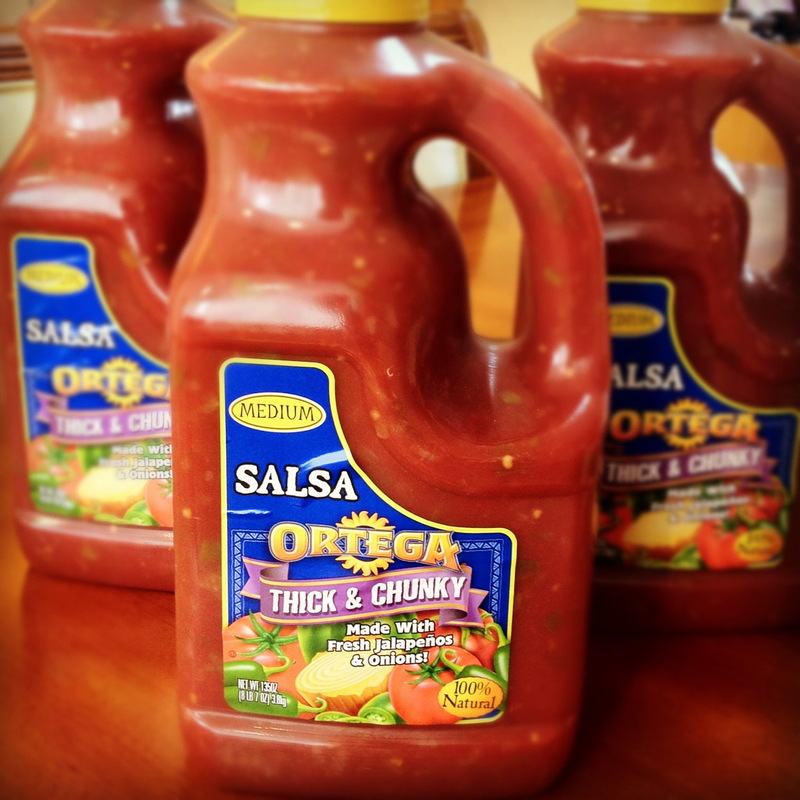 But I'm always on the lookout for a better brand of spicy salsa. Which is why I was serenading the lucky shoppers with the Hallelujah Chorus. The store employee consulted with the manager who was pouring over a list to try and get a price for me. Considering the tiny cup-size jar of salsa is about $6 US, I figured the large jar was going to be extremely high, but worth it. I continued to shop, managing also to find refried beans, almost unheard of in this town. Finally they found the price: $18 USD. I asked if I could buy all three! Which I did. They had one more, but I left it behind. After all, three bottles equalled 26 pounds of salsa, a lot of weight to carry when you don't have a car! My friend paid me for one of the bottles, leaving me with two, and a million ideas on how to use them. Later I had another errand to run and managed to find one perfectly ripe avocado at yet another grocery store. Score! If you guessed that dinner tonight was tortilla soup, then you win. The boys and I kept refilling our bowls. Es muy delicioso! I had to cut everyone off or else there wouldn't be any left for Michael when he gets home from work. I'm pretty sure my dreams tonight will be in Spanish. Dulces sueños my friends! And I'm very glad you left me a bowl! Muy delicioso! Need to pack salsa. Check. You are a crazy woman! Mexican and Chinese do not go well together unfortunately. I'll have to make sure to get your shopping list before we head to visit you! We brought similar stuff to our friends in China. They were thrilled! Yay! I think it worked! And yay for salsa!